“Forensics originated from the term ‘forensis’ which is Latin for ‘pertaining to the forum.’ The Roman forum was a multidimensional space of negotiation and truth-finding in which humans as well as objects participated in politics, law, and the economy. With the advent of modernity, forensics shifted to refer exclusively to the courts of law and to the use of medicine, and today as a science in service to the law. The present use of forensics, along with its popular representations have become increasingly central to the modes by which states police and govern their subjects. By returning to forensis this book seeks to unlock forensics’ original potential as a political practice and reorient it. Inverting the direction of the forensic gaze it designates a field of action in which individuals and organizations detect and confront state violations. 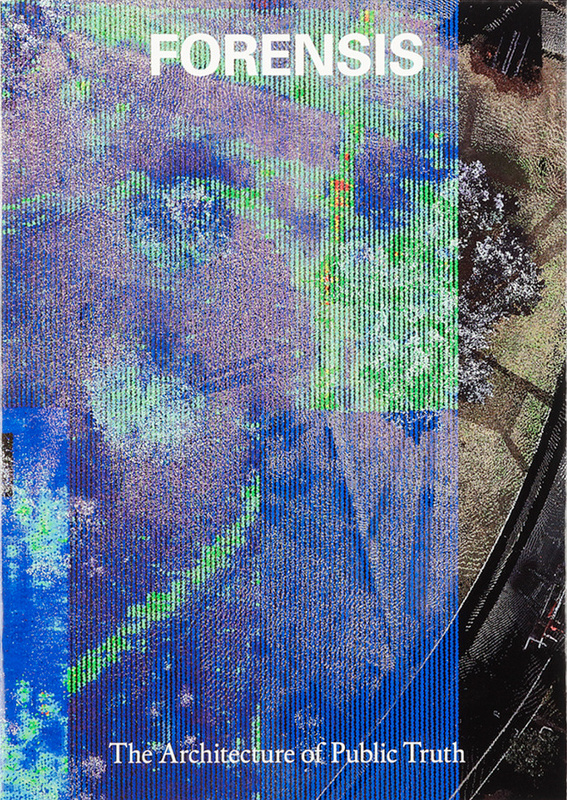 The condition of forensis is one in which new technologies for mediating the “testimony” of material objects—bones, ruins, toxic substances, landscapes, and the contemporary medias in which they are captured and represented—are mobilized in order to engage with struggles for justice, systemic violence, and environmental transformations across the frontiers of contemporary conflict. 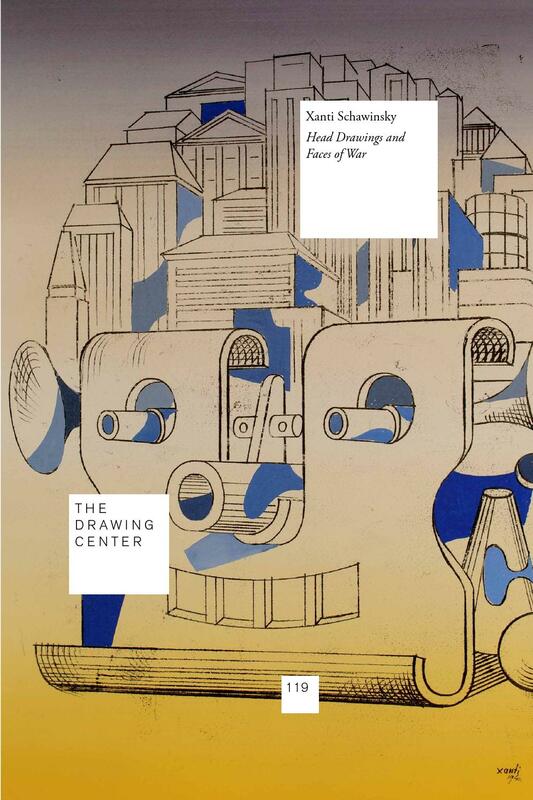 With contributions by Lawrence Abu Hamdan, Nabil Ahmed, Maayan Amir, Hisham Ashkar & Emily Dische-Becker, Ryan Bishop, Jacob Burns, Howard Caygill, Gabriel Cuéllar, Eitan Diamond, DAAR (Decolonizing Architecture Art Residency), Anselm Franke, Grupa Spomenik, Ayesha Hameed, Charles Heller, Helene Kazan, Thomas Keenan, Steffen Krämer, Adrian Lahoud, Armin Linke, Jonathan Littell, Modelling Kivalina, Model Court, Working Group Four Faces of Omarska, Gerald Nestler, Godofredo Pereira, Nicola Perugini, Alessandro Petti, Lorenzo Pezzani, Cesare P. Romano, Susan Schuppli, Francesco Sebregondi, Michael Sfard, Shela Sheikh, SITU Research, Caroline Sturdy Colls, John Palmesino & Ann Sofi Ronnskog / Territorial Agency, Paulo Tavares, Füsun Türetken, Robert Jan van Pelt, Srdjan Jovanovic Weiss / NAO, Eyal Weizman, Ines Weizman, Chris Woods. Reviews: Léopold Lambert (The New Inquiry, 2014), Martin Howse (Mute, 2014), Gaston Gordillo (Society and Space, 2015), John Beck (Radical Philosophy, 2015). Exh. review: Harry Burke and Lucy Chinen (Rhizome, 2014). This catalogue offers “a look at first generation Bauhaus artist Alexander ‘Xanti’ Schawinsky’s oeuvre, which encompasses a range of social and political investigations. Schawinsky played a key role in the school’s vital social life and was a member of the Bauhaus Band. He studied graphic design and experimental photography and was also deeply engaged in the Bauhaus’s theater workshop as an actor, set and costume designer, creator of performances, and teacher. The Culture of the Copy is an unprecedented attempt to make sense of the Western fascination with replicas, duplicates, and twins. 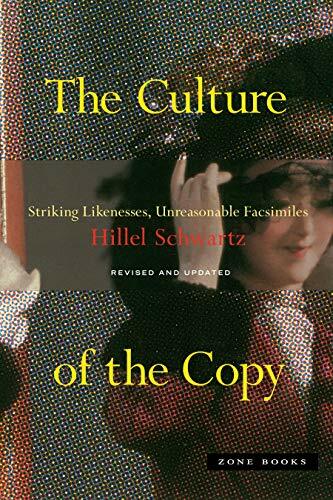 In a work that is breathtaking in its synthetic and critical achievements, Hillel Schwartz charts the repercussions of our entanglement with copies of all kinds, whose presence alternately sustains and overwhelms us. Through intriguing, and at times humorous, historical analysis and case studies in contemporary culture, Schwartz investigates a stunning array of simulacra—counterfeits, decoys, mannequins, and portraits; ditto marks, genetic cloning, war games, and camouflage; instant replays, digital imaging, parrots, and photocopies; wax museums, apes, and art forgeries, not to mention the very notion of the Real McCoy. Working through a range of theories on biological, mechanical, and electronic repro­duction, Schwartz questions the modern esteem for authenticity and uniqueness. The Culture of the Copy shows how the ethical dilemmas central to so many fields of endeavor have become inseparable from our pursuit of copies—of the natural world, of our own creations, indeed of our very selves. This updated edition takes notice of recent shifts in thought with regard to such issues as biological cloning, conjoined twins, copyright, digital reproduction, and multiple personality disorder. At once abbreviated and refined, it will be of interest to anyone concerned with proglems of authenticity, identity, and originality.